All Things Beauty? All In One Place? I've walked past this store in the mall many times, and plenty of times I've felt that something not right is being 'shouted' from the advertisements in the windows. It makes me feel sad. Over and over I've seen messages in the ads in the windows that say beauty is found outside of a woman. It's like these ads are shouting to anyone who walks past that women need something outside of themselves to attain beauty. That bothers me. "All things beauty. All in one place." Beauty is found in a place. 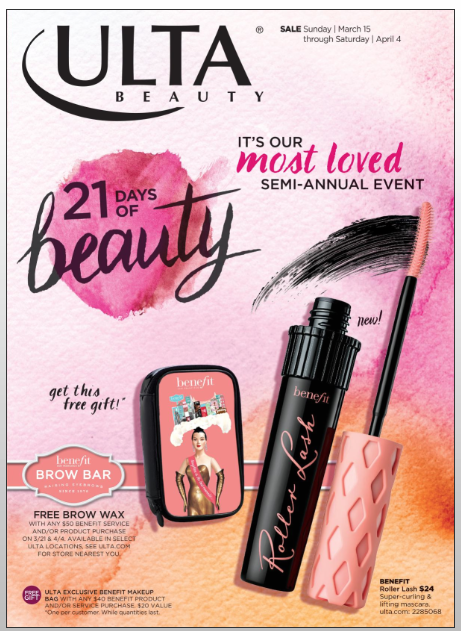 "21 days of beauty...it's our most loved semi-annual event!" Beauty is found through buying enough of the right things at an event. 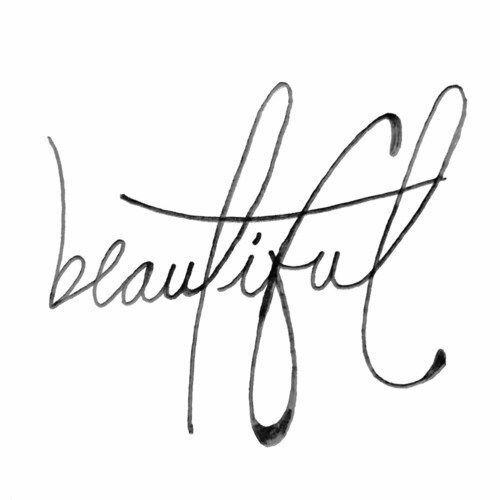 "Bring the beauty." "Makeup: Report for beauty!" Beauty is found in products. I don't believe that beauty is found in a place, in an event, in a product. I don't believe that beauty is outside of a woman, and she needs to strive to make sure she has it. I don't believe beauty is outside of a woman. I believe that beauty is found already inside of a woman. It's not her PLUS makeup, clothes, a perfect hairstyle, a skinnier body...any of that stuff our culture has shouted to us. A woman already IS beautiful. She doesn't have to become beautiful. A woman is beautiful because she has a Maker who, though it might sound a bit odd to our ears, is Himself the most beautiful One ever. And He wanted to give us a reflection of the way He is...so He made women to display His beauty. She's not beautiful just because she herself is so amazing, but she's made to reflect back to the world a message about the One who made her. The way she is (but also women collectively) images God. Her beauty tells a story to the world about the way the Maker is. So that's why I feel bothered by those ads in the windows. 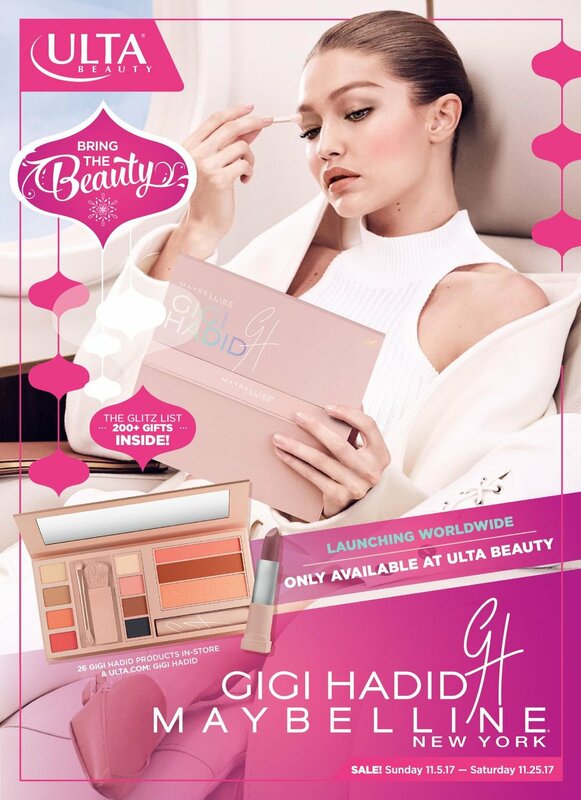 They're trying to sell me, and every woman walking by, the lie that we need something outside of ourselves to GET something we REALLY WANT: beauty. The heartbreaking lie is that beauty is found somewhere outside of a woman...that a woman can be beautiful if she does enough to become beautiful. But a woman already is beautiful, without doing anything, without adding anything, without needing anything. She isn't beautiful because the culture says she is, or because she measures up to some cultural standard of what we've defined beauty as, but because she has a Maker. Her Maker has decided that one thing all women would carry around in their physical body would be beauty. It's not a choice, it's not something they have to attain or earn or strive for. It's just a part of who each woman is. Yes, the beauty of her personality is part of it, but physical beauty, beauty you can see with your eyes, is just essential to what it is to be woman. And what makes it all even more sad for me is that those ads are pretty much shouting out that lie about it's me PLUS something else, but we don't even notice that they're shouting because we've all heard that lie, our whole lies, without questioning it. We've grown up on a diet of lies about what beauty even is, and who has it, and where it's found...so when there are images that say "Beauty is found in a product," we don't even think twice. Not many of us have had anyone in our lives to tell us the truth, or to point out the lies. So I guess I write this blog post, for myself, and for anyone who stumbles upon it out there in the huge world of the Internet. 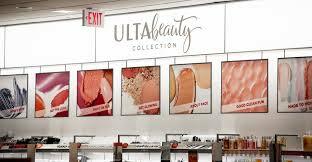 You can't find beauty inside of Ulta. It might feel like you can...that's because we've all grown up learning and believing that those are the places where beauty is found: a 'beauty parlor,' 'beauty salon,' 'Ulta Beauty.' But it's not found out there, in striving, in adding. It's already in who we are, in being crafted and formed by a God who wants to speak a message about Himself through seeing us. I grew up thinking I was ugly and I believed it with all my heart. It was in sixth grade that I first believed that I was ugly. Christmas Is Coming...My TREE Is Getting Fat?? This year at Christmas, I was ready to trash all of our existing decorations and hit up Target right away. I wish I could download perspective into my daughter's mind...but I can't. Here's what I would program into her about beauty if I could, though.